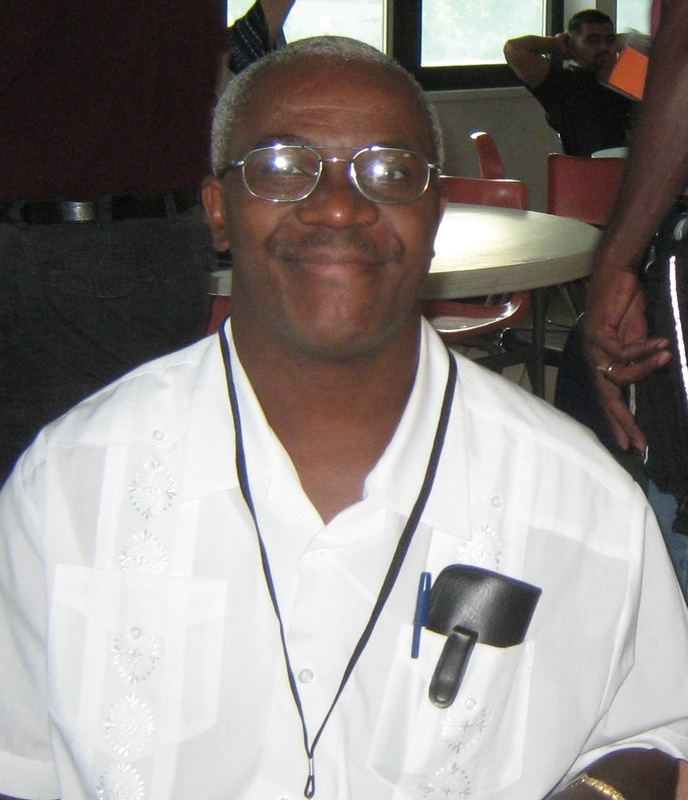 We are excited that Vicar Saint Luc Charelus will receive his call documents to serve as pastor of Bethlehem Haitian Church – LCMS on Friday, October 23 at his graduation ceremony on the campus of Concordia Seminary, St. Louis, MO. We have tentatively set the date of ordination as Sunday, December 6 at 4:00 PM in our Immokalee Amigos Center. Stand by for more details. We would like to have all of those who love and support our ministry present for the big day. We offer a special thank you to Rev. 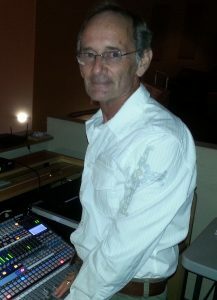 Richard Browning at Hope Lutheran Church, Bonita Springs for having served as Mentor for Saint Luc during these past four years of seminary training. It is gratifying to see our vision of a pastoral team of bi-vocational pastors coming to fruition. The united gifts of both Pastor Andre and Pastor Saint Luc will serve as a blessing for our Lutheran Haitian church planting ministry for all of Southwest Florida. Thanks be to God! Call Pastor Selle for more information (239) 281-1664. 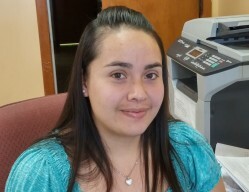 By Eileen Ortegon, Amigos Center Development Specialist "I am an immigration attorney. I serve the hardest working, most gracious, and truly inspiring group of people in the world." With these words attorney Lindsay Ray explained why she decided to study immigration law. In 2010, during Lindsay’s first year in law school, Haitian citizens living in the U.S. became eligible to apply for immigration benefits due to their inability to return to Haiti after a massive earthquake. In an effort to help a local immigration attorney meet the high demand for immigration services by thousands of Haitian citizens in the area, Lindsay and a group of her classmates volunteered at Legal Aid Services of Collier County, filling out immigration paperwork. After spending several weeks as a volunteer at Legal Aid Services, Lindsay became a paid intern there, working under the supervision of Attorney Sister Maureen Kelleher. Lindsay stayed on as an intern for two more years, for the duration of her time in law school. At Legal Aid, she worked exclusively in the immigration field, helping to file family petitions and working closely with victims of crime who were applying for immigration benefits. Her work at Legal Aid sparked her desire to practice law at a nonprofit agency and to serve her clients by providing the highest quality legal services for the lowest possible cost. In 2012, after she graduated from Ave Maria School of Law, Lindsay began working at Catholic Charities. There, she was an immigration caseworker who helped her clients file family petitions and apply for naturalization. However, Lindsay never forgot the joy she felt as an intern when she was able to serve victims of crime in the field of immigration. And, although she loved her work at Catholic Charities, she wanted to continue to look for ways to help victims of crime. Lindsay worked at Catholic Charities until 2014. In 2015, she began working at Amigos Center, a faith-based non-profit organization led by Pastor Robert Selle. Amigos Center offers family-based and country specific immigration services. Also, Amigos Center has a special program for immigrant victims of crime. Lindsay is the sole immigration practitioner in this program, and spends half of her time working exclusively with victims of crime. She meets with every client individually, and tailors a plan that meets their immigration needs and fits their lives. Each case is different, and Lindsay loves finding a solution and a path to legalization for each client. I'll finally achieve my American dream. I love this country!" 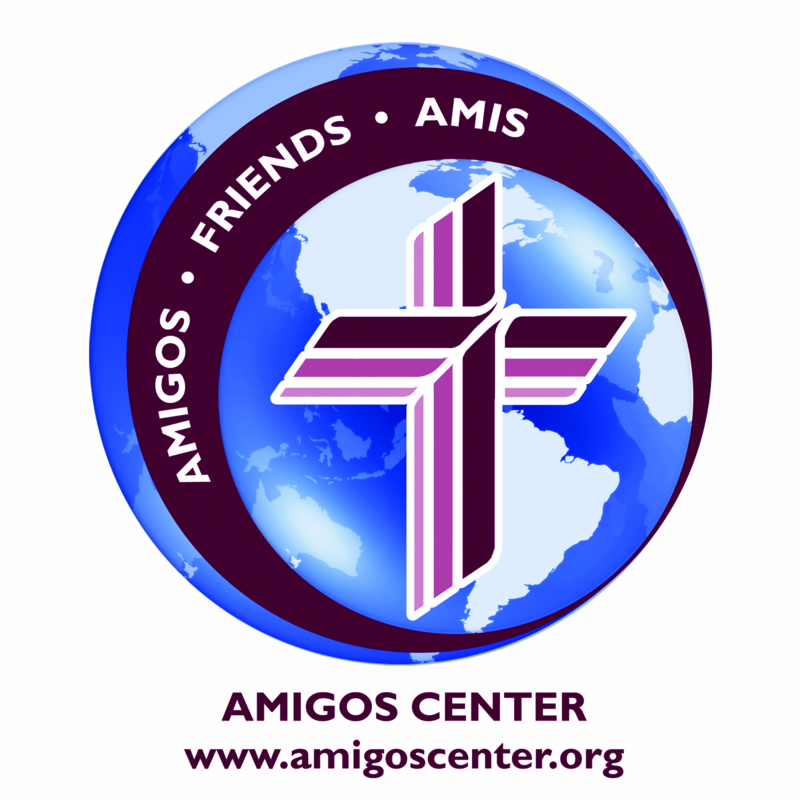 Amigos en Cristo together with Zion Lutheran Church, Fort Myers, is organizing a unique evangelism event at the Immokalee Amigos Center for Friday, July 31 at 5:00 PM. Our intent is to share the love and hope of Jesus with the people of Immokalee through the music of “Mariachi San Pablo”. Since 70% of Immokalee residents speak Spanish at home, it makes sense to present the Gospel through music that speaks to the soul. In addition to the music, the event will offer tamales and cheese nachos, play activities for the children, prayer booth, conversations with our Amigos Center immigration staff, tours of our ministry center and much more. 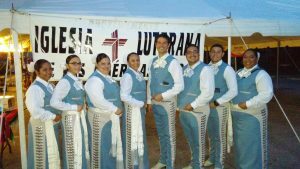 Mariachi San Pablo is an intergenerational music ministry of Ysleta Lutheran Mission Human Care in El Paso, Texas, one of the poorest communities along the border with Mexico. The group has traveled to 17 different U.S. states as well as into northern Mexico (103 cities in all). While at home on the US/Mexico border, Mariachi San Pablo works to reach their community through music that both inspires and touches the lives of those who hear it. 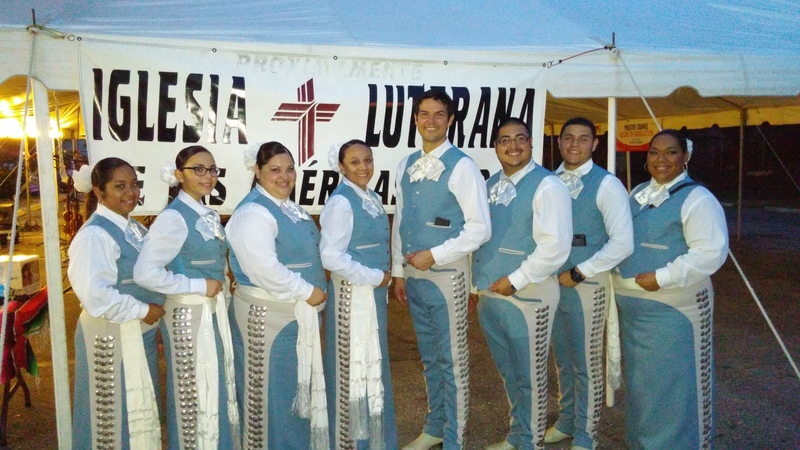 Mariachi San Pablo comes to the Amigos Center in Immokalee on Friday, July 31, 2015, 5:00 PM to 8:00 PM, 106 South 2nd Street, Immokalee, FL 34142. Everyone is invited, no matter your language or country of origin. For more information call Pastor Selle (239) 281-1664. A unique opportunity to serve immigrants is the area of immigration. At one point or another most first-generation immigrants will need to apply for some kind of adjustment to their immigration status, either for themselves or for their family members. Amigos Center employs two immigration specialists who are accredited by the Board of Immigration Appeals (BIA), and an attorney who holds a law license. Immigration Specialists who are accredited by the BIA may assist immigrants in immigration proceedings before the Board. Our attorney graduated from Ave Maria School of Law with a Juris Doctorate and holds a law license from the state of California. Since August 2001 Amigos Center has offered family based and country specific immigration services at nominal cost to over 10,000 families. Amigos Center can help someone go from undocumented to being a U.S. citizen. However, this is not a one-step process. Most immigrants must go from being undocumented, to being a permanent resident, and then becoming a U.S. citizens. Some even have to take a fourth step between being undocumented and becoming a permanent resident, and hold either a visa or some type of temporary status first. There are five main immigration categories. They are: U.S. Citizen, Legal Permanent Resident, Visa Holder, Temporary Status Holder, and Undocumented person. A U.S. Citizen has the right to do anything within the law. Most significantly, he or she has the right to work, travel internationally, receive public benefits, and vote. A legal permanent resident has most of the rights of a U.S. citizen, except for the right to vote. Permanent residency does not expire. But, it can be removed due to criminal activity. A visa-holder has the right to do whatever the visa allows, i.e. student, tourist, employment, etc. Visas expire after a particular amount of time – months or years, depending on the type of visa. A person who holds a temporary status, such as Temporary Protected Status (TPS), may work in the U.S. and is ineligible for deportation for a certain amount of time. This status does not have a fixed expiration date. An undocumented person has few rights in the U.S. He or she does not have the right to work or to receive public benefits. Our immigration work is a life changing service for many immigrants. One grateful client wrote: “If gratitude could be measured in words, ours for Amigos Center would not fit in this letter. When we arrived here, it was like being shipwrecked and we were struggling to stay afloat. Yet God showed us that He does not abandon anyone. He sent us a guardian angel…Christina Leddin, who became for us a lifeboat at the moment we felt we were drowning. She has accompanied us in knocking again on doors that we had in ignorance shut; she has fought…at our side…and her help is so sincere that we felt that she took our situation upon herself as though it were own. Today our life is very different … We owe all this to you. Thank you for all you are doing for the neediest people…We don’t get tired of telling everyone who asks how we are doing about how much we have advanced thanks to you. Daily you are in our prayers and we pray God helps you in all that you need.” The Violence Against Women Act (VAWA) allows battered immigrants to petition for legal status in the United States without having to rely on an abusive U.S. citizen or legal permanent resident spouses, parents or children to sponsor their Green Card application. For many immigrant victims of domestic violence, battery and extreme cruelty, the U.S. citizen or lawful permanent resident family members who would sponsor their applications will threaten to withhold legal immigration sponsorship as a tool of abuse. The purpose of the VAWA program is to allow victims the opportunity to “self-petition” or independently seek legal immigration status in the U.S. Amigos Center partners with the Abuse, Counseling & Treatment (ACT) Shelter of Fort Myers to help these victims apply for legal residency under the U-Visa section of VAWA. Every day we have 6 to 10 preschool children in our building. 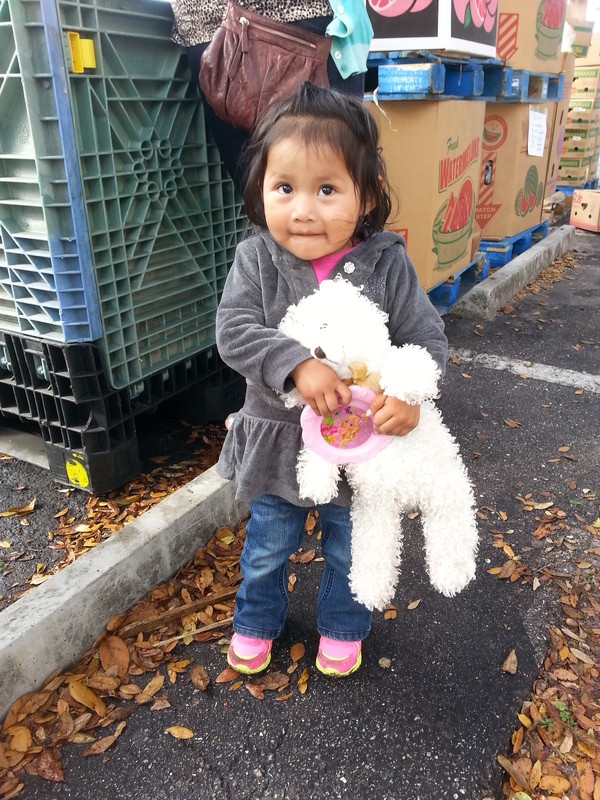 They are the children of our Immokalee volunteers, clients and our adult English language program. Our vision is to provide these children with a stimulating environment that encourages a life-long love of reading. We will provide daily opportunity to these children to have a book read to them. They will have opportunity to take age appropriate books home. At our Children of Amigos Fundraising Luncheon last month we gathered 382 children’s books. Special thanks to Concordia Publishing House for donating 200 new children’s books. Most of the books we collected were written by our Master of Ceremonies and Christian author, Dr. Mary Manz Simon. We inaugurate our Children of Amigos library on Tuesday, April 28, 11:00 AM. Come celebrate Thanksgiving with the farmworkers of Immokalee on Tuesday, November 24 at 5:00 pm. 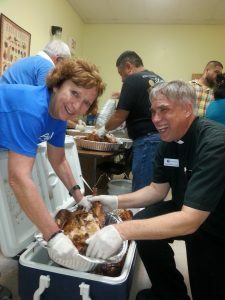 A local caterer will prepare 20 hot turkeys so we can provide a traditional hot Thanksgiving meal in the parking lot of our Immokalee Amigos Center. Volunteers will bring the side dishes and help serve the community. What a great way to express our thankfulness to God for all of his blessings. Call Gloria for more information (239) 253-5628. (Amigos Center, 106 South 2nd Street, Immokalee, FL 34142). 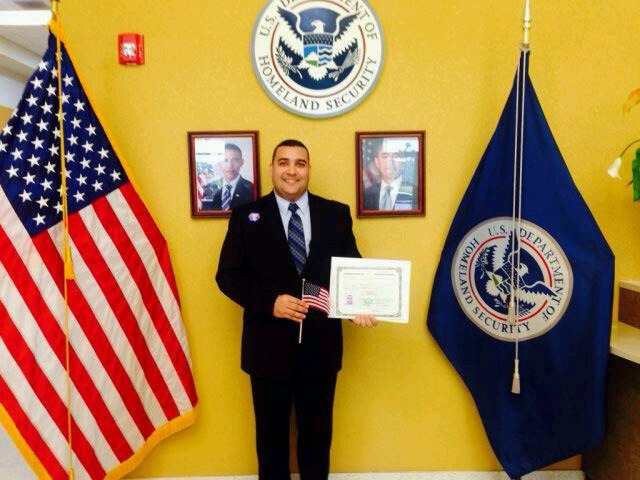 “I am an immigration attorney. I serve the hardest working, most gracious, and truly inspiring group of people in the world.” With these words attorney Lindsay Ray explained why she decided to study immigration law. In 2010, during Lindsay’s first year in law school, Haitian citizens living in the U.S. became eligible to apply for immigration benefits due to their inability to return to Haiti after a massive earthquake. In an effort to help a local immigration attorney meet the high demand for immigration services by thousands of Haitian citizens in the area, Lindsay and a group of her classmates volunteered at Legal Aid Services of Collier County, filling out immigration paperwork. After spending several weeks as a volunteer at Legal Aid Services, Lindsay became a paid intern there, working under the supervision of Attorney Sister Maureen Kelleher. Lindsay stayed on as an intern for two more years, for the duration of her time in law school. At Legal Aid, she worked exclusively in the immigration field, helping to file family petitions and working closely with victims of crime who were applying for immigration benefits. 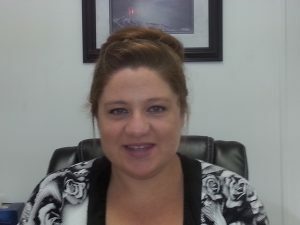 Her work at Legal Aid sparked her desire to practice law at a nonprofit agency and to serve her clients by providing the highest quality legal services for the lowest possible cost. In 2012, after she graduated from Ave Maria School of Law, Lindsay began working at Catholic Charities. There, she was an immigration caseworker who helped her clients file family petitions and apply for naturalization. However, Lindsay never forgot the joy she felt as an intern when she was able to serve victims of crime in the field of immigration. And, although she loved her work at Catholic Charities, she wanted to continue to look for ways to help victims of crime. Lindsay worked at Catholic Charities until 2014. 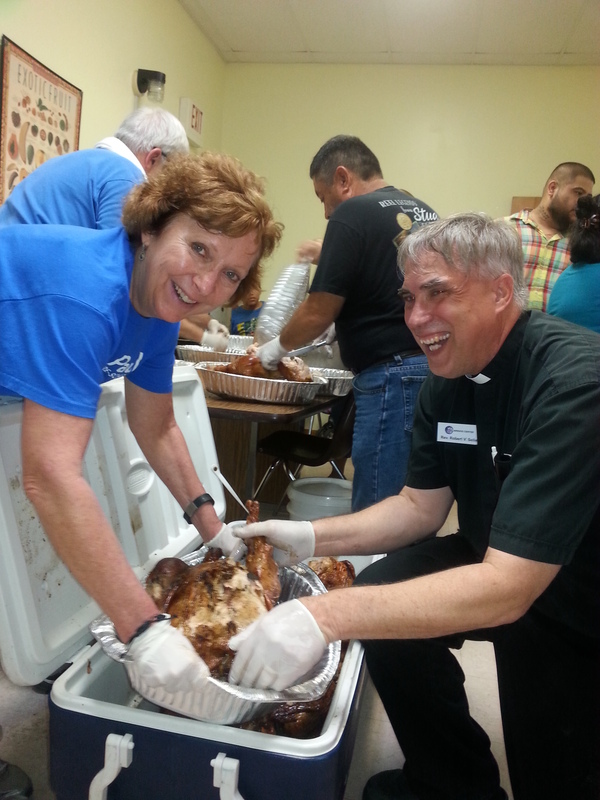 In 2015, she began working at Amigos Center, a faith-based non-profit organization led by Pastor Robert Selle. 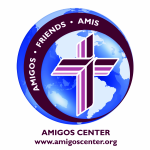 Amigos Center offers family-based and country specific immigration services. Also, Amigos Center has a special program for immigrant victims of crime. Lindsay is the sole immigration practitioner in this program, and spends half of her time working exclusively with victims of crime. She meets with every client individually, and tailors a plan that meets their immigration needs and fits their lives. Each case is different, and Lindsay loves finding a solution and a path to legalization for each client. The Violence Against Women Act (VAWA) allows battered immigrants to petition for legal status in the United States without having to rely on an abusive U.S. citizen or legal permanent resident spouses, parents or children to sponsor their Green Card application. For many immigrant victims of domestic violence, battery and extreme cruelty, the U.S. citizen or lawful permanent resident family members who would sponsor their applications will threaten to withhold legal immigration sponsorship as a tool of abuse. The purpose of the VAWA program is to allow victims the opportunity to “self-petition” or independently seek legal immigration status in the U.S. Amigos Center partners with the Abuse, Counseling & Treatment (ACT) Shelter of Fort Myers to help these victims apply for legal residency under the U-Visa section of VAWA.